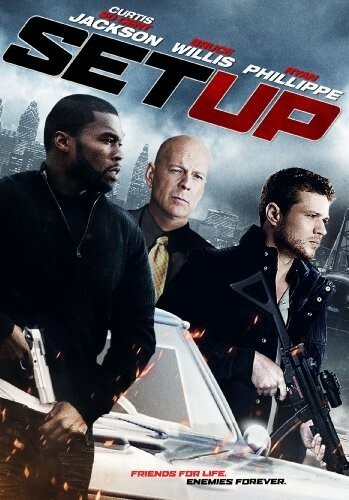 I was really looking forward to seeing the new 50 Cent/Bruce Willis movie, Set Up. Not because it stars 50 and Willis, but because part of it was shot in Grand Rapids, Michigan, where my brother and his family live. And because some of the movie's scenes were actually shot in my brother's house. 50 Cent shoving a gun in a guy's face on my brother's couch? I'd have bought a ticket. But Set Up is bypassing theaters and going straight to DVD today. Really? With 50 and Willis? And Ryan Phillippe? Movie must really stink. Maybe I can get a copy from one of those red boxes. Anyway, a trailer after the jump.